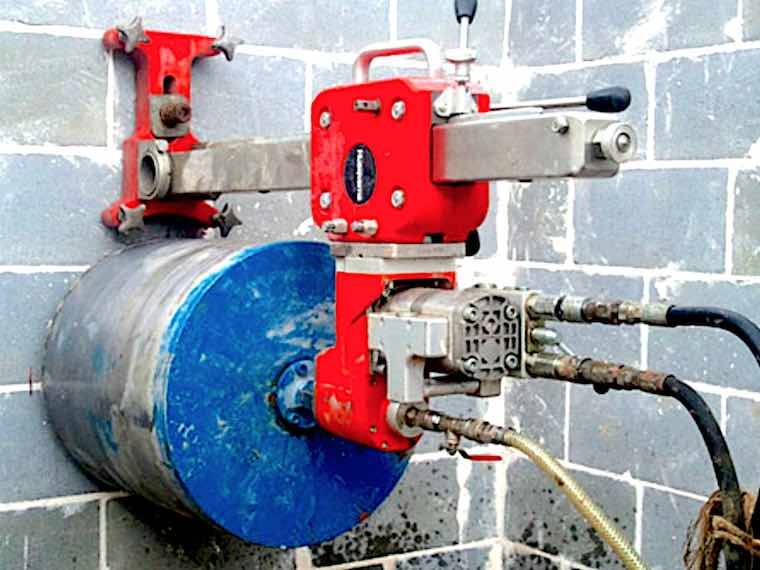 Concrete drilling (also known as core drilling) is commonly used to penetrate concrete, brick and stone when concrete sawing techniques are not as effective. 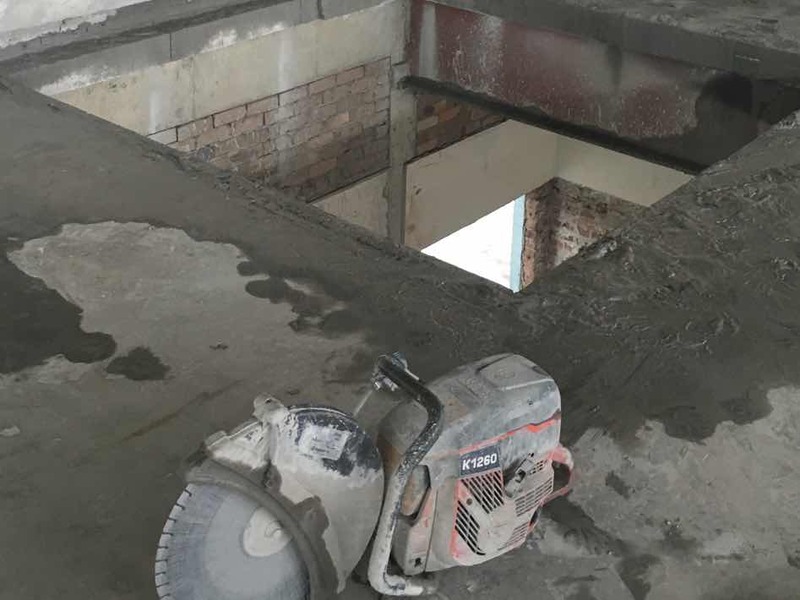 Our main types of concrete core drilling services are below, however, please do not hesitate to call us for a free consultation and quote for what you need to be done. What does core drilling involve? Core drilling uses diamond tipped drills which can be used to effectively to drill into concrete, brick, stone and even cast iron and steel plating on occasion. Core drilling is almost free of vibration and dust. So, we can drill within your premises without too much disruption to the surrounding area. When is core drilling used? Making way for electrical, plumbing and air-conditioning pipes and conduit. When over-sawing of corners is not possible. What does stitch drilling involve? 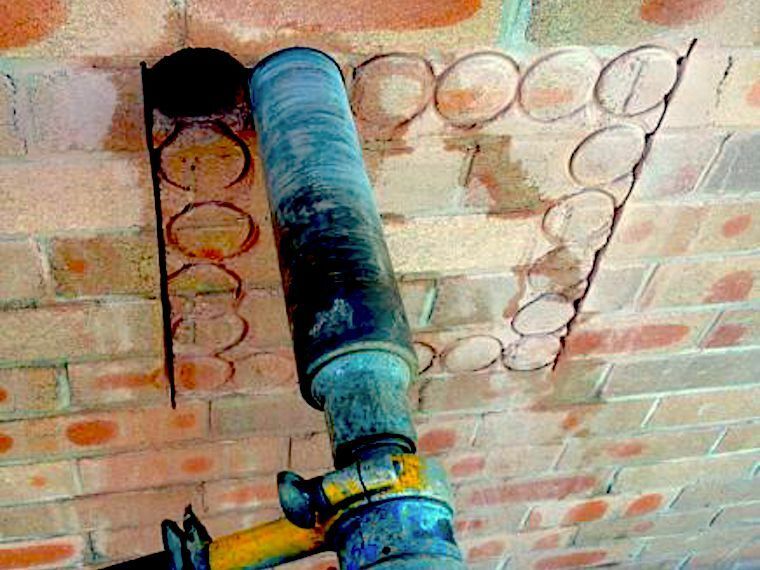 Stitch drilling involves drilling many overlapping holes until the required section of concrete is removed. Stitch drilling can also be used when the concrete is too thick for a concrete saw to penetrate. Usually, depths of 700mm and over require stitch drilling allowing a depth of several metres. When is stitch drilling used? 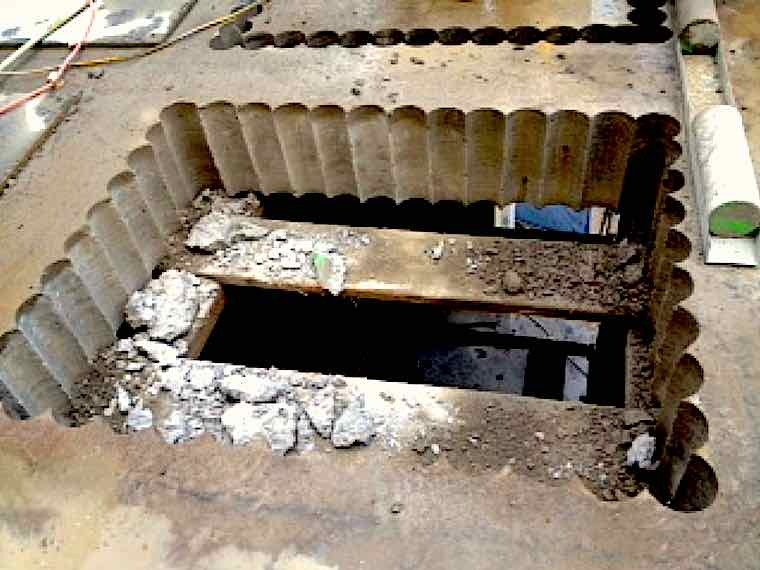 To remove a section of concrete a saw cannot access or is very deep. 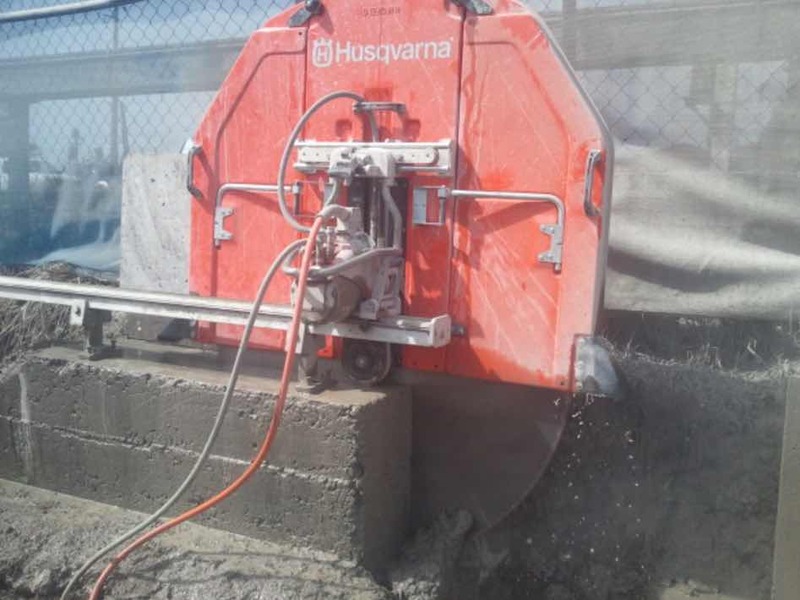 To create irregular shaped holes in concrete.